The aim of the Puppy Foundation is socialisation to lay down a foundation for the training at the bronze and higher levels. On successful completion of the course, the puppy will respond to their handlers and the handlers will have an awareness of the responsibilities of dog ownership. The inclusion of play exercises adds an extra dimension to a dog's life and can be used to make training fun. Maximum age : 12 months. 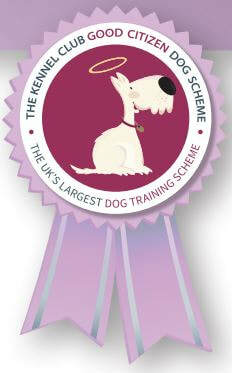 Download the Kennel Club Puppy Foundation Assessment for more information. The aim of the Bronze Award is to produce a dog that will walk and behave in a controlled manner on the lead, will stay in one position on command, will allow it's owner to clean, groom and inspect it. The dog must come to hand when called. It also aims to provide the handlers with a basic knowledge of understanding and training their canine companion. 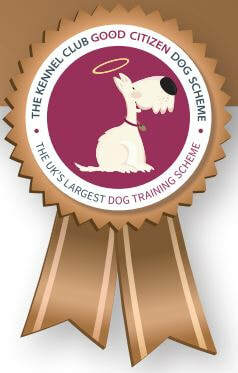 Download the Kennel Club Bronze Award Assessment for more information. 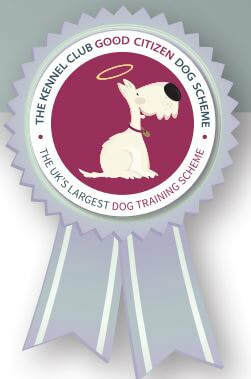 Download the Kennel Club Silver Award Assessment for more information. The Gold Award is the highest level of achievement of the scheme. It builds on skills learnt in the Silver Award and develops more advance training skills of the dog and handler. It introduces new concepts such as relaxed isolation, stop the dog and send the dog to bed exercises, which are important in everyday life situations. 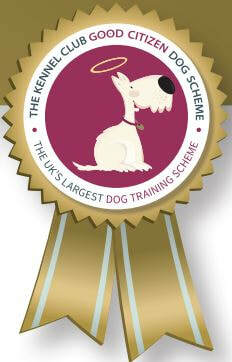 Download the Kennel Club Gold Award Assessment for more information.